The eBOX GPI8 Ethernet to GPI Interface from JLCooper is an Ethernet/GPI interface for users who need GPI functions, but have no need for the advanced serial over Ethernet capabilities. It provides the added benefit of including the eBOX IO functionality (with Opto-Isolated Inputs and Relay Outputs) and it is sBOX compatible. The eBOX GPI8 simplifies long distance cabling by using IP addressable, point-to-point architecture to send control messages over existing 10/100 BASE-T wiring. 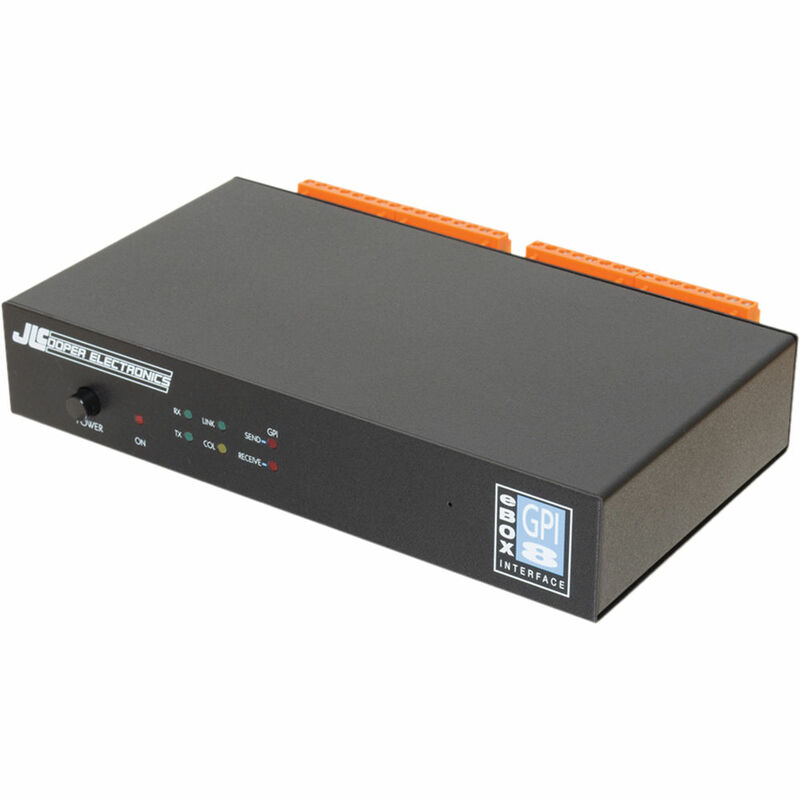 It is ideal for LAN, WAN and Internet control with switchers, computer based systems, cameras, projectors and other devices that use GPI. The unit is recommended for broadcast television, streaming media networks, multi-room editing facilities, news production or in any audio/ video/multimedia studio where remote hosts need to control devices over long distances or via the Web. Box Dimensions (LxWxH) 12.3 x 7.8 x 2.1"